Pandeism: An Anthology is a collection of work from different authors that seeks to provide intellectual backing to the idea of pandeism. Why was this an important book for you to put together? Pandeism is a pretty old idea, but is one which has very long been little known — discussed almost exclusively in scholarly and academic settings, and usually in a sort of abstract and theoretical way. Perhaps that will always be its primary locus of discussion, but as scientific knowledge comes to match up better and better with a pandeistic Universe, it would be a wonderful thing for people to be made aware that this possibility is out there. And as the Anthology writings show, it has proved itself worthy of consideration from many angles. There is surely some long-term gain to be realized, as well, from a world wherein people generally understand that all things are part of our Creator, and all life ought to be accorded the respect due to even a fragment of our Creator. And even as Pandeists bear no club with which to threaten ‘disbelievers’ with eternal torment or the like, imagine how you might react if you felt there was a possibility — a reasonably high probability even — that if ours were a created Universe at all, then it would be the sort of Universe in which your own actions towards others (and, more largely writ, everybody else’s actions towards everybody else) directly dictated the experiences which would be had by your Creator; and not only by your Creator but quite possibly by every entity ever existing — including yourself, to some immeasurable extent, all of these being your Creator, which has momentarily (for perhaps just a few hundred billion years) become fragmented apart. If there is any possibility that we are creating experiences to be shared with by our Creator, ought we not by this knowledge to be motivated to create positive experiences, for ourselves, and for one another? And though all of these are, in my view, respectable reasons for my advocacy and regular formulation of new arguments, the simple truth is that I love the idea for its elegance, for its simplicity, for the strength of its explanatory power wrapped in extrapolations from a few simple assumptions of logical necessity. And so I want to pull it down from the academic tower and present it in ways suitable for a larger slice of the world to get to grasp it. You work with sixteen authors on this anthology. How did this book come together and what was it like working with so many bright writers? As to how it all came about, I first began putting together the ideas for a book on the topic some thirteen years ago. I always knew that I wanted to write about Pandeism, and I researched intensely, and found other people who had written on the topic and in the area. I never intended to do an anthology, but as I worked on my own book, it seemed to just get more and more sprawling. I was trying to grasp in all of the ideas that I could possibly cover, and it was more than I could do. And then, at some point, I simply threw my hands up and decided that it was not something that I would ever be able to finish. But, as I pored over the many writings which I had accumulated in the area overtime, and the connections I had made with people who write in this area, I was struck by the fact that I might well be able to assemble enough to make a book that captured many of the ideas that I wished to express, but which had already been put into words in other ways by other people. 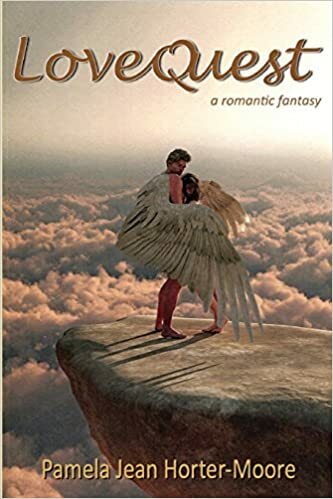 And once I had had that realization, the whole structure of the book, the give and take and opposing viewpoints and variety of possible approaches simply came together, almost instantaneously. I immediately knew, for example, that I wanted to have poems punctuated the sections, and to divide the book in the general sort of way in which it ended up, and I am tremendously gratified with the result. One of the most remarkable experiences and joys of my life has been working with these authors. I ought to mention that two of the writers were deceased — one, nearly one hundred years before, and the other just a few years ago, a good friend who I had been in communication with and who had written his piece for me before his quite untimely death, years before I ever knew I was going to assemble an anthology. But as to all the rest, every one of them was note only a unique and powerfully thoughtful and excellent to communicate with, but remains a friend. Really, it is like we are a family of fellow travelers along the same route. There are several of them who I bounce ideas off of frequently. The book is separated into three sections, the fundamentals of Pandeism, philosophical implications, and criticism from other views. Why was it important to include alternate analysis of pandeism? Most works on a specific theological point of view are told from the proposition of that view being true. And indeed, even anthologies written within specific faiths tend often to be single-minded collections of endorsements of that faith. There is something about such an approach which instead rings untrue to me — if your belief system is so ironclad, why only present one side of it? And yet we know there are those who dispute the truth of every theological model, so why not present their arguments directly and let the reader choose who has made more sense? Why collect an anthology at all if all the views provided assume the same position? If we only present arguments favoring Pandeism, or even present only one view of Pandeism, then we are doing the readers a disservice. It is not the sort of position which can be insisted to be true in a gnostic sense. It is one logical possibility out of a field of them, with certain points of logical appeal, but at the same time with an acknowledged impossibility of knowing the truth of it. And even if there are those who believe that it is untrue, it presents a paradigm which they must contend with. Neither Atheism nor any Theistic faith can escape the intellectual obligation to confront the possibility of this model, and when they do so, and commit to it in a serious way, some great and deep writing is bound to result from this. What do you hope readers take away from Pandeism: An Anthology? Well, firstly I really hope that readers take away the sense that Pandeism, as a theological model, is indeed a serious possibility. And secondly, I hope to just really make people think about all the possibilities that are out there, and the fact that there are indeed so many possibilities which are unknown. I want readers to feel a bit challenged and a bit enlightened and more than a bit informed. One thing, I think, about this book, with its breadth of authors and approaches from diverse and sometimes opposing viewpoints, is that it is impossible to read it through without learning something of interest, something which will stay with you for the rest of your life thereafter. I hope that readers take away a lot of feelings like that, and that every reader takes away at least something like that. 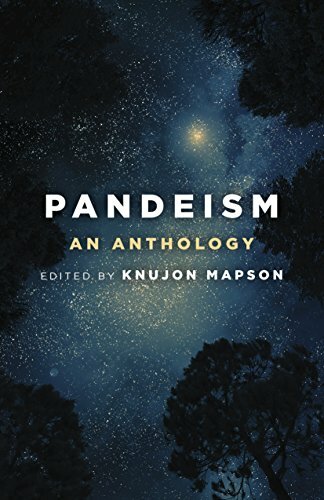 Pandeism: An Anthology presents the work of sixteen authors, new and old, examining the implications of the revolutionary evolutionary theological theory of Pandeism – the proposition that the Creator of our Universe created by becoming our Universe, and that this proposition can be demonstrated through the exercise of logic and reason. These authors present a wide range of views originating from their varied experiences, from professional theologians and religious educators to lay philosophers with PhDs in the hard sciences. Collectively, these authors have assembled the most extensive examination of Pandeism put to print in over a hundred years. Is God real? If He is, where he is and why does he allow certain things to happen? Is our current status a result of constant evolving Or a conscious action of an entity granting each individual a choice? I am quite certain that everyone has had the above mentioned questions at some point in their lives. The book Pandeism: An Anthology edited by Knujon Mapson is one of the few works that could be classified into an intellectual query, or rather a search for one of the fundamental beliefs or belief systems existing in the modern world – Existence of God. Keeping aside what may or may not be my bias for or against such topics, I will give the editor a round of applause for carefully selecting and presenting an interesting collection of essays. The anthology has been grouped into three sections, The fundamentals of Pandeism, Philosophical implications and Criticism And analysis from other views. The sixteen authors of the essays are by scholars and doctorate holders. These individuals have often, through their pursuit in their field of study, have come into the realm of beliefs and religion. Each of them, in their own way, have tried to provide a logical inference based on their understanding and how they see the supernatural entity or God in other words. The essays themselves are an intellectual search they performed while wondering about the divine, which forms the basic belief. There are four major principles which have been taken as the yardstick, they are: God as the primary cause and the long held beliefs – God being an entity which is omnipresent, omnipotent, and omniscient. In the middle section, the essays describe the philosophical leanings of the Pandeism. This section also contemplates the drive of living things to live, and of intelligent life to better itself, achieving some remarkable conclusions about the desire of non-omnipotent beings to obtain omnipotence — and of an omnipotent being to destroy itself and begin anew. The last section describes that Pandeism has drawn both a critical and comparative eye from adherents to other theological models. The above can be seen by the conventional practice in organizing comparative religious literature, seems to be to order pieces so that conventional Western world views are given prominence. This is balanced with the comparative study and analysis of the different world religions such as Hinduism. There are also other views which encompass some nontraditional approaches as well. This book stimulates the mind to ponder over one of the basic queries. This book is for those who would like to indulge their intellectual faculties. Admittedly, the level of comprehension is higher than a run of the mill book, but still makes for a good read.